Mexico published today, July 31, 2018 in its Federal Register or Diario Oficial de la Federacion some changes to common immigration forms. These changes will be effective tomorrow, August 1, 2018. The following forms have had slight changes made to them. FMM Form Commonly Called Tourist Card Form (It is really to track entries and exits for statistical purposes and only acts as a tourist card for those who have no other visa). 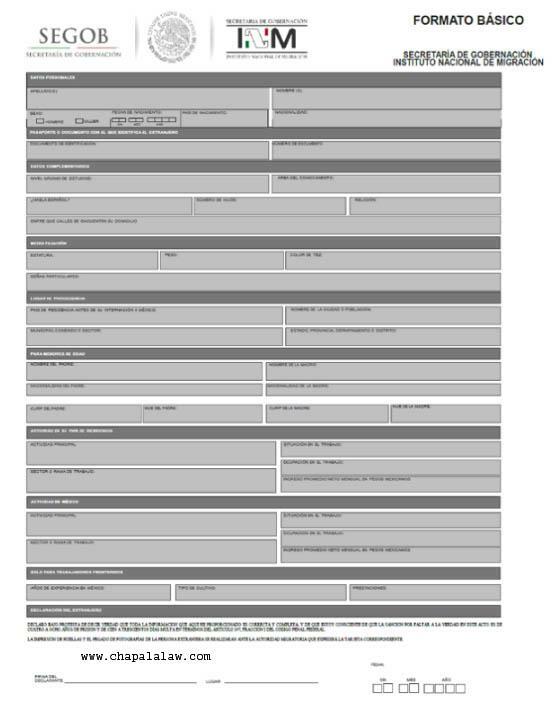 They changed some of the numbers around, also on the lower parts of both halves they write in how many days the visa is good for, on the old forms only the bottom section had a box to write in the information. New card format is similar to the old one. There are small differences such as the design and logos on the top of the front side, and on the front side both the issue and expiration dates will appear, old cards had expiration date on front and issue date on the rear. The rear side will have space for folio number, where printed and renewal number with the other signatures and barcodes the same as before. FORMATO BASICO, the form you turn in when applying for any temporary or permanent visa. The new form seems to be the same as far as information requested but does delete the spots where you would put your fingerprints or attach photos. FEM Formato Estadístico para Mexicanos, the form Mexicans use for entering and leaving the country. This form has changed from being blue or purple in the pasty to a lime green color on the new form. 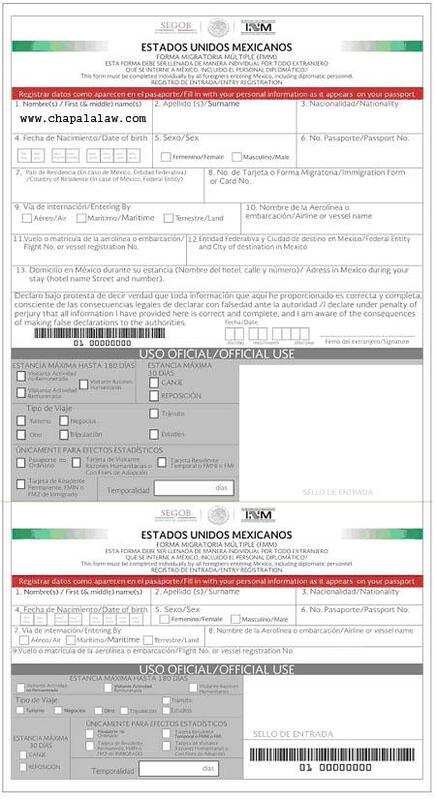 This form is to track entries from Mexicans deported from other countries. It is a good idea to make sure that when you use any of the aforementioned forms that you use the new ones as using the old ones may cause a delay or rejection when you do any business with the National Immigration Institute or INAMI. It is unknown when immigration / airports / border crossings will have the new forms available as well as if there will be any grace period for use of old forms. So Spencer, are you saying that all of us that temporal or permanente visas need to get new cards now? And if so, is there going to be a charge for that? Current cards are still valid, just new look to new ones. Those applying for a new visa will need to use new form and for entries and exits there are new forms for foreigners and nationals. The way that I read his last paragraph in the original post made it sound like that......"It is a good idea to make sure that when you use any of the aforementioned forms that you use the new ones as using the old ones may cause a delay or rejection when you do any business with the National Immigration Institute or INAMI. It is unknown when immigration / airports / border crossings will have the new forms available as well as if there will be any grace period for use of old forms"
I just wanted to make sure that I had the correct information from Spencer himself. I hope that's alright with you RVGRINGO. I entered Mexico at the end of May 2018 and received a 120 days tourist visa which expires next month. 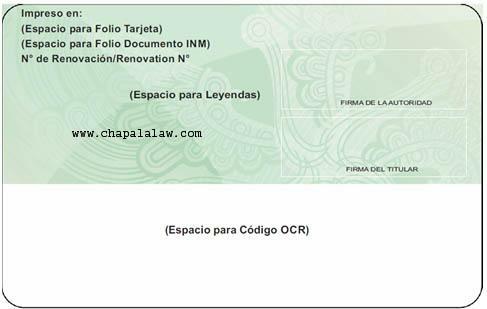 My lease at Lake Chapala terminates at the end of the year. 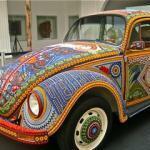 I am retired and would like to stay in Mexico for a year, before deciding on permanent residency. What is the easiest way to extend my visa? 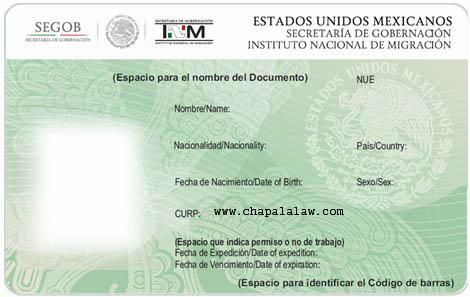 Can I walk into Chapala Immigration office, and request an extension? Short answer is NO. A Tourist Card is not extendable (except under very limited circumstances usually having to do with health). Your’s was designated as 120 days..... usually they are for 180 days, but..... and you must exit Mexico by the 120th day. If you want to stay in Mexico until the end of the year, you must ‘get’ to the border, turn in your existing FMM document (Tourist card in this case), turn around and re-enter on a new Tourist Card. That will (normally) get you to the end of the year at least. A round trip to San Diego is $400/USD. I assume there is a fine if I stay in Mexico till the end of the year on the current visa. Any idea what the penalty is? I plan to move on to Brazil in 2019. I don't understand paying $400 USD to San Diego when GUADALAJARA to TJ return is cheap and easy. I just looked up Volaris on Sept. 11 and returning on Sept. 12 round trip for $124 USD. Two carry-on bags included. I just did it in June. It is a long, enclosed sky bridge so it is like walking through an airport. There are elevators and escalators for changing levels. Also, baggage carts and wheel chairs are available for you. You need to switch the carts and wheelchairs when you cross “the border.” There are people to help all along the way. I spent less than half the money from flying into San Diego. It was also much easier for my daughter to pick me up and drop me off there. Thank you everyone for your suggestions, it' is very helpful. I hope someday I can return the favor.